Dutch police wrap up investigation into Russian activist's death | Russian Legal Information Agency (RAPSI). MOSCOW, March 29 - RAPSI. The Dutch police have completed the investigation into Russian national Alexander Dolmatov's death in the Netherlands, Gazeta.ru reports. According to the online news resource, the police have already sent their conclusions to the deceased's lawyer and will shortly forward them to Netherlands' parliament's working group on Dolmatov and to the Ministry of Security and Justice. 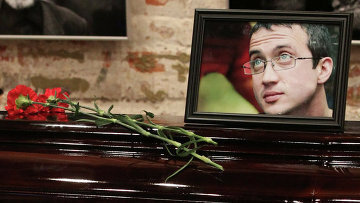 At the same time, the Netherlands Embassy in Moscow will deliver the documents to Dolmatov's mother. Only after this will the investigation results be made public, Geert Ates, director of United for Intercultural Action, a European pressure group, told Gazeta.ru. Mr. Ates said that so far only the investigation carried out by the Justice Ministry's criminal department had been completed. The reasons behind Dolmatov's suicide are being investigated by three groups - the Ministry of Justice and the Ministry of Health and the police. Geert Ates, who has been monitoring Dolmatov's case since January, said he doubts the case materials can reliably determine the real reason behind the Russian national's death, but he hopes that his death will help reform the Netherlands' legislation on refugees. Alexander Dolmatov, a member of the Other Russia unregistered party, was involved in the case of the Bolotnaya Square rally in Moscow in May 2012. When the police began to arrest suspects in the case, he fled from Russia and sought political asylum in the Netherlands. Dolmatov's lawyer Yevgeny Arkhipov announced in January that he had committed suicide. Dolmatov was found dead in a Rotterdam deportation centre, where he had been sent after his asylum application had been turned down. 14:37 29/03/2013 The Dutch police have completed the investigation into Russian national Alexander Dolmatov's death in the Netherlands. Alexander Dolmatov, a member of the Other Russia unregistered party, was involved in the case of the Bolotnaya Square rally in Moscow in May 2012. When the police began to arrest suspects in the case, he fled from Russia and sought political asylum in the Netherlands.